The Human Rights Campaign is celebrating the defeat of the politician central to signing the loathed H.B. 2 in North Carolina. Tuesday was a difficult night for Democrats, but they appear to have chalked up one big win — knocking out Republican Pat McCrory in a highly-publicized contest for North Carolina governor, according to activists. While we still await national results, @RoyCooperNC has defeated @PatMcCroryNC in a victory for equality in North Carolina.
.@PatMcCroryNC thought he could get away with attacking LGBTQ people. Tonight he learned otherwise. Now NC must work toward repealing #HB2. McCrory in March infamously signed House Bill 2, which banned transgender people from accessing bathrooms and locker rooms in state facilities that correspond with their gender identity. It also eliminated all existing LGBT-inclusive nondiscrimination ordinances in the state, and prohibited cities from adopting new protections. 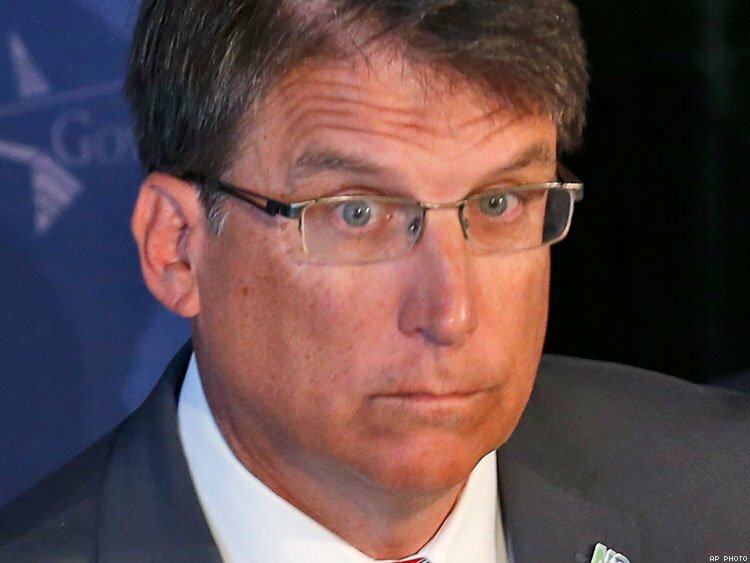 The bill was greeted with national derision and North Carolina suffered immediate boycotts — from organizations such as the NCAA — that have cost the state billions, according to reports. McCrory repeatedly defended the bill and in a campaign ad said he stopped "boys from using girls' showers." His opponent, N.C. Attorney General Roy Cooper, decried HB 2 from the outset. He later used the legislation as a campaign weapon against McCrory, and vowed to overturn it should he win.